Refresher Training Applicants must successfully complete a refresher course in the same discipline as their initial course. Refresher training is annual. Refresher is a 1 day course. Steve, Mike and Dave where fantatsic instructors! I gained much understanding regarding the dangers of, safety precautions,... Steve, Mike and Dave where fantatsic instructors! I gained much understanding regarding the dangers of, safety precautions, and proper abatement techniques of Asbestos. Great class; thank you all! I loved the class it was really interesting and fun. I learned a lot about asbestos and the training helped. A big shout... I loved the class it was really interesting and fun. 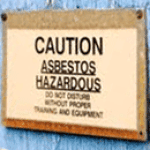 I learned a lot about asbestos and the training helped. A big shout out to my instructor Steve, I would recommend people I know to go there for the near future. The instructor was very informative and knowledgeable about the subject. The instructor was very informative and knowledgeable about the subject. Training was great! Training was great! Very nice class. Learned alot of info. Very nice class. Learned alot of info. Great learning experience, easy to follow along and instructor was aware of the class room atmosphere and allowed breaks... Great learning experience, easy to follow along and instructor was aware of the class room atmosphere and allowed breaks as needed to keep the highest learning curve. A bit more class participation encouragement with the verbal aspect would have bein nice... All round Steve was a great instructor. Amazing Steve lived up to his name. Amazing Steve lived up to his name. Steve S.; has a way of incorporating past experiences and breaking the course down to its easiest terms to understand. He... Steve S.; has a way of incorporating past experiences and breaking the course down to its easiest terms to understand. He also makes the class interesting by breaking in with a little humor to keep his students involved. I rate Steve at a 5 star. study material could have been constructed to better follow the course outline...but good enough. Need more blank areas... study material could have been constructed to better follow the course outline...but good enough. Need more blank areas for note taking. Aerosol Monitoring and Analysis, Inc (AMA) was founded in 1981 in response to a growing need and market demand for high quality environmental hazardous material assessment and remedial design services by government and industry. We help clients manage their environmental risks by providing high quality and cost effective services. 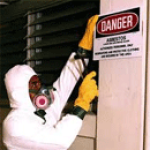 We operate as a specialized industrial hygiene, health and safety consulting firm and also offer laboratory services for asbestos, lead and microbial analysis. 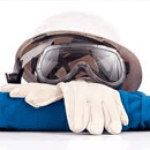 In addition, we provide training services in the areas of safety, hazardous materials, asbestos and lead paint. We provide these services at one our state-of- the-art training facilities and also offer off-site training at the client's request.